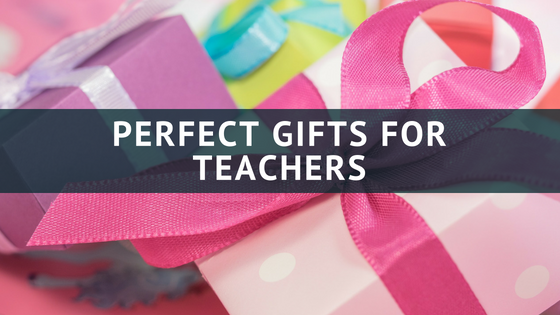 The school year is coming to an end and with it comes the task of picking out a perfect gift for your child’s teacher. At this time of year I like to say thank you to my daughters teachers. They have taught her and put up with her for the year. There are so many different things that you could buy for your child’s teacher, sometimes its hard to decide what to get them. To make things a little easier I have put together this little guide with some great ideas. Chocolate is always a winner with teachers, who doesn’t love a sweet treat. 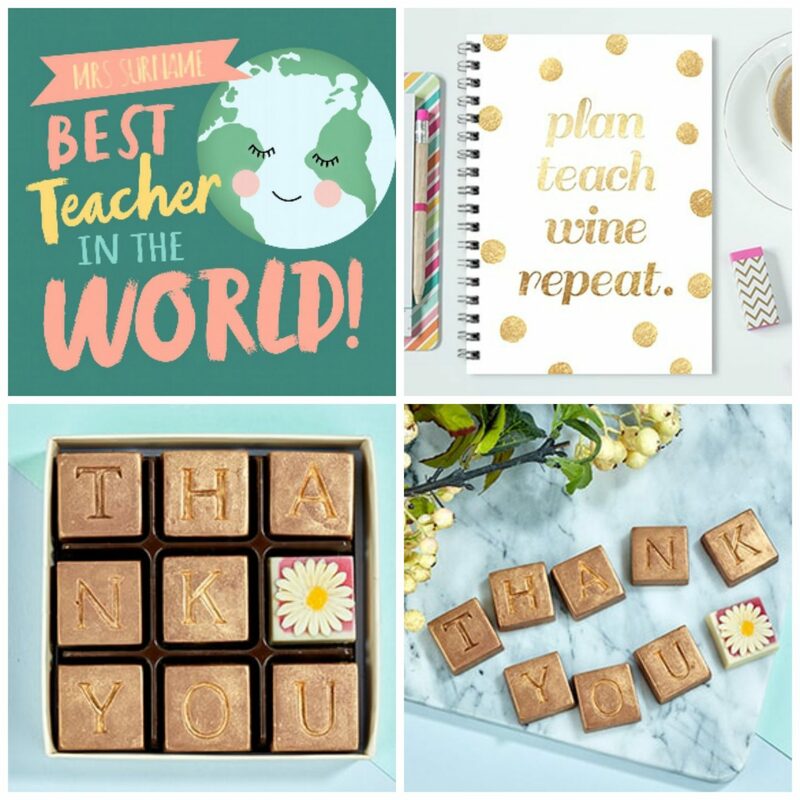 Divine Chocolate have a fantastic ‘Thank You Teacher’ Gift Set. This wonderful gift includes a Divine Chocolate tasting set and a thank you card. What I really love about this gift is that for every set sold £1 donation is given to Trading Visions Charity. 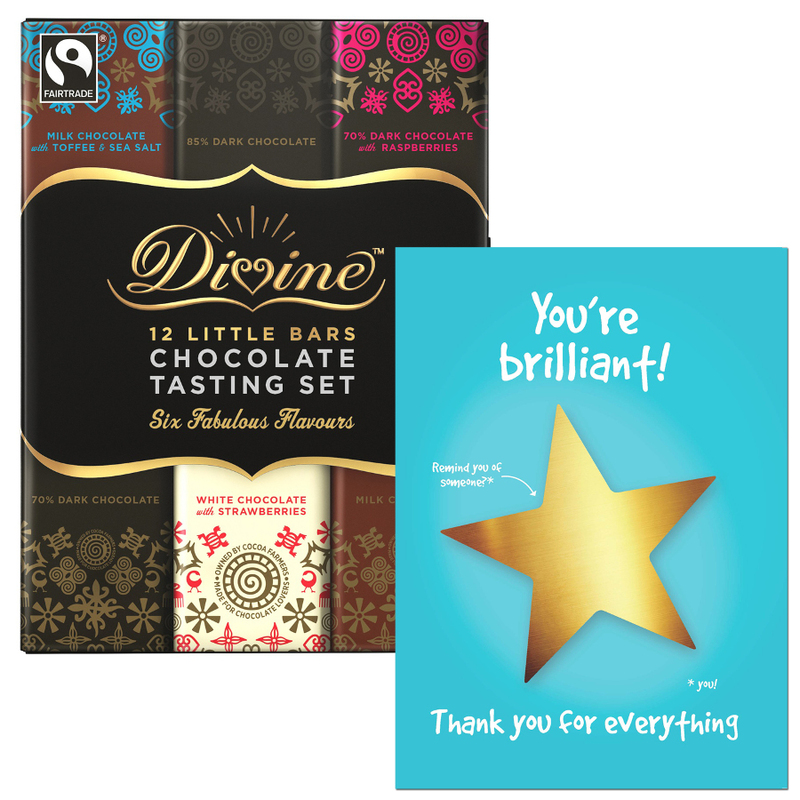 The Divine Chocolate tasting set contains 12 tasty Fairtrade certified chocolate from Divine. The set has an assortment of flavours. Smooth milk, tasty rich dark and the wonderfully creamy white chocolate. You also get a wonderful Thank You Teacher Card with the set. The card is a fun design with plenty of space for a personal message. Inside the card tells the story a Ayassu Kuapa Primary school and how the donation will be spent. I personally think this is a lovely touch. I am sure teachers will love that a donation from the gift has gone to helping another school. This really is a lovely teacher gift set and well worth the price of £7.50. 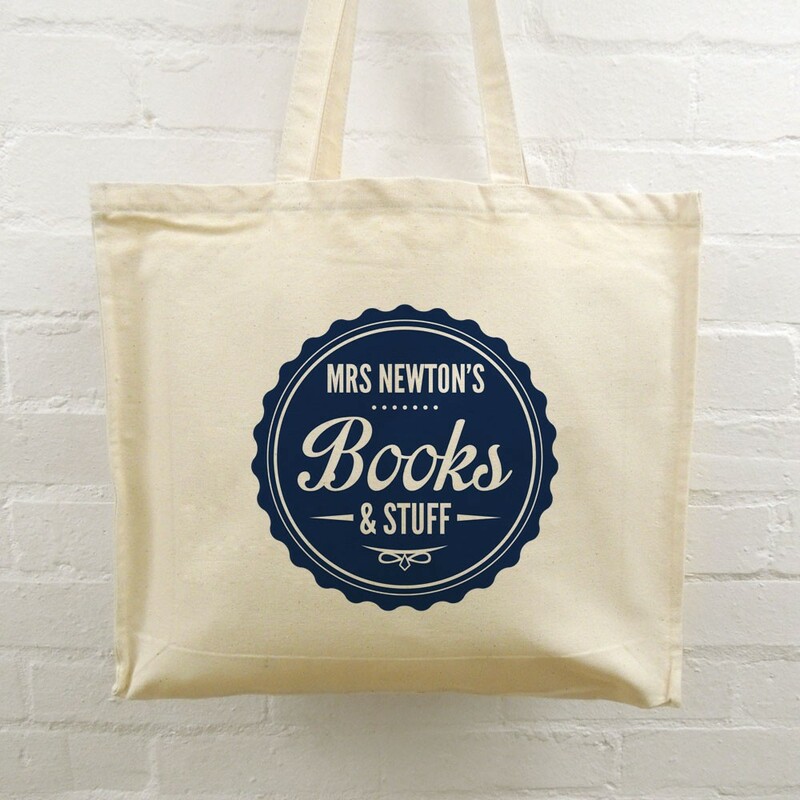 I absolutely love these personalised teacher tote bags from Able Labels. The tote bags are made from 100% Cotton and they are available in an array of lovely different designs. The bags can be personalised with 18 characters of your choice and are available in black and cream. Black is probably more practical, however I really love the cream bags. The bags are quite large. The dimensions are 43cm width x 38 cm height. The bags appear to be very durable and therefore I defiantly think they will withstand the weight of quite a few books, or the dreaded marking teachers have to do. The bags cost £12.50 and I think they make an extra special teacher gift. Funky Pigeon have an amazing range of teacher gifts to choose from, you are bound to find something you like. Their selection of personalised gifts is large they so also however have gifts that are not personalised. Here a few items that I really love and I know my daughters teachers would like too. Funky Pigeon also sell a great range of personalised drink coasters and key rings. Both items can be personalised how you want. Costing just £3.99 they are an affordable and personal teacher gift. What better way to say thank you than chocolates that say ‘Thank You. The chocolates are Handmade from white Belgian chocolate. The Box contains nine thank you chocolates, one of which is a cute daisy. I am really impressed this teacher gift. It is perfect for teachers and teaching assistants as they both work so hard. The set costs £9.99. When looking for a teacher gift It is worth checking out funky pigeon as they have so many different gifts for all budgets. For some people they see gift vouchers as a cop-out present as they are not very personal. However, after speaking to a teacher, I now know that they love gift vouchers as it means they can get something they want or have some time for themselves. One year a few parents and myself clubbed together to give the teacher a gift voucher for the beauty salon she used and she loved it. any different type of gift vouchers you can get. Whether its a voucher for a local shop or for afternoon tea, they are sure to love it. As you can see there are plenty of different things you can buy, however what ever you give your child’s teacher are sure to love it and be touched by the gesture. Another great brand to check out is Jofelo, they sell some amazing journals which teachers are bound to love. Disclaimer – This is a collaborated post.